Note: This game is a Turbografx 16 reproduction of Neutopia II. It was played on a Turbografx 16 console that has been modded to output in component video. The console was connected to a 32-inch tv, outputting at 240p. 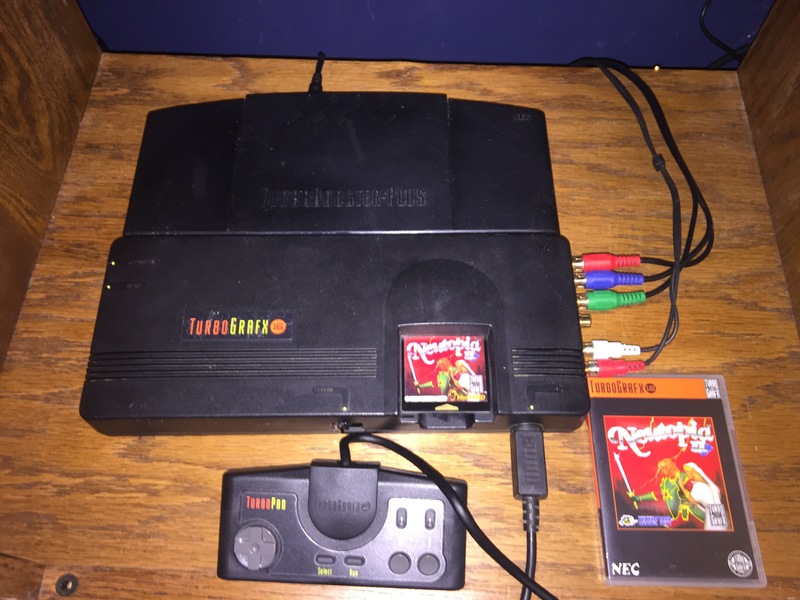 Connected to the console is a Turbobooster Plus, which enables game saving without the use of passwords. The Turbobooster Plus is a reliable way to save game data, I believe because it does not use a save ‘battery’ that might die over time. Instead, I believe it uses some kind of memory chip that is ‘charged’ every time the system is turned on. In a few of the game manuals I have for other games (ones that also are capable of saving), you are encouraged to turn the system on at least every two weeks so as not to lose any data you’ve saved. My unit has worked great and I’ve had no problems saving. Story: Your father, the legendary hero Jazeta (play Neutopia to experience his story) has gone missing. It’s up to you to discover what’s happened to him and discover why evil seems to be returning to the land of Neutopia. Gameplay: Explore a huge over world filled with towns, fields, icy mountain ranges, and even an underwater kingdom. Uncover Neutopia’s 8 labyrinths to find weapons, armor, and other helpful items to help you destroy the encroaching evil forces and follow the clues as to your father, Jazeta’s, fate. Control: Button I controls the sword (which you’ll upgrade multiple times by finding better swords in labyrinths). Button II uses any one of the ‘select’ items you collect – moonbeam moss illuminates dark caves, the medicine restores your hearts, the flail hits enemies surrounding you at the expense of 10 gold per use, etc. Gold and Stores: You’ll collect silver coins (10), gold coins (50), or money bags (100) by defeating enemies. Use these to (mostly) buy medicine, bombs, or a boomerang (it will be lost if you don’t catch it while using it). 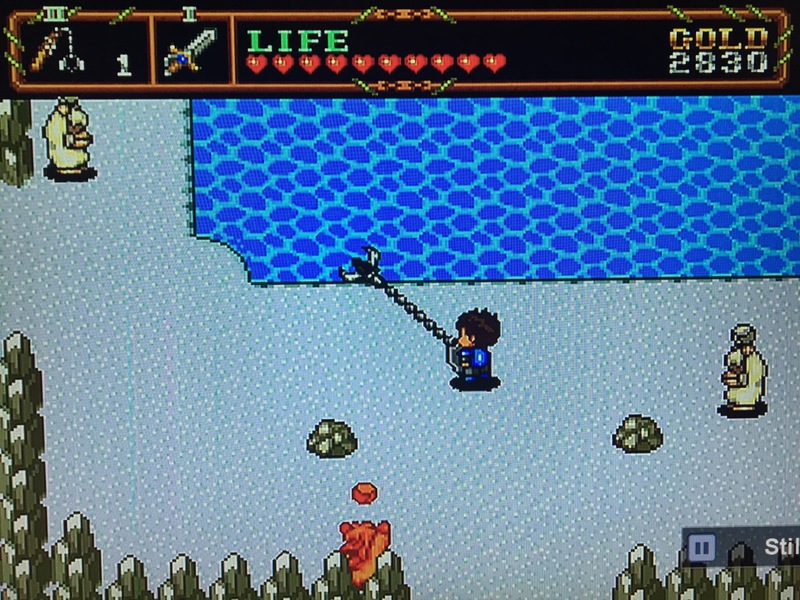 Enemies drop gold often, so stockpiling money is not too difficult, particularly in the cave leading to labyrinth 3 – the enemy rocks are loaded with gold. Beware: Dying reduces your gold by HALF. When in doubt (or low health), use the Wings of Return item to make it back to the ‘save’ lady – if for no other reason than to keep your gold. Progression: Neutopia II does a great job of directing you where to go next. The citizens of Neutopia, either in the towns or hidden in caves in the over world, will often tell you exactly where you should be headed. If you do get lost, it’s usually not for long. You’ll advance your strength and defense by acquiring new armor, swords, and shields. Your arsenal of weapons will expand as you acquire the boomerang, wands with elemental powers, and the flail. After beating the labyrinth bosses (which can be challenging – always carry 2 medicines), you’ll gain a unit of health (heart) to extend your life bar. You’ll also encounter elders in the wild who will increase your life bar as well, or monks who will increase your bomb-carrying capacity. Labyrinths: The 8 labyrinths get increasingly complex. 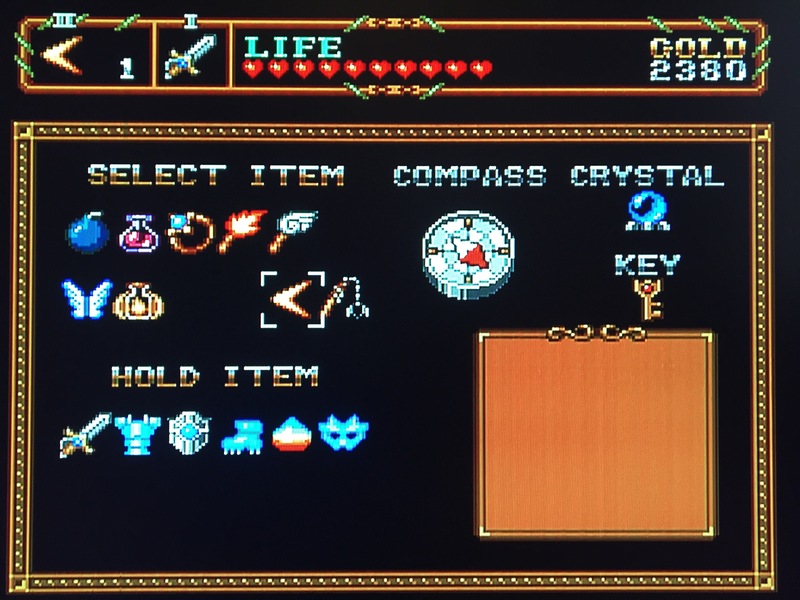 The first two are quite simple, but starting with the 3rd one, they often require you to play them a bit, collect a few items (the crystal ball map and ‘boss’ key, for example), then leave and buy more medicine and save your game before continuing. The labyrinths aren’t impossible at all, they simply take patience and a large supply of bombs to uncover secret rooms hidden behind walls. The crystal ball maps you’ll always find help every labyrinth become solvable. Saving: To save your progress, visit the pink-robed woman who lives in every town or resides under a rock near the entrance of each labyrinth. She’ll give you a password or offer to have you save in the file cabinet, which is only possible if you have the Turbobooster-Plus or Turbografx 16 CD attachment hooked onto your console. The file cabinet is awesome because the password is quite long, yet all you’ll need to do is select your save file. However, you should NOT let the long password deter you from playing the game. The first time I played through Neutopia II a few years ago, I used a password all the way. It takes about a minute to write it down in a notebook, and a minute to input it when you’re ready to begin playing again. No big deal, and a password in a notebook can never be frustratingly deleted like an electronic save file (although this shouldn’t happen on your Turbobooster Plus unless you don’t turn on the system for more than a couple of weeks). 1. Your character can be moved diagonally, unlike the first game. 2. Your sword can be swung in an arc instead of only straight ahead. 3. Gold is easier to accumulate as more enemies drop it, plus there’s the addition of the 100-coin bag. 4. Citizens offer more useful advice on where to go next, although neither game is really confusing in that regard. 5. More attack weapons than original game. 6. You find health pickups (hearts – which replenish one unit of life) far more often than you found health pickups (cherries – which replenish one unit of life) in the first Neutopia. 1. 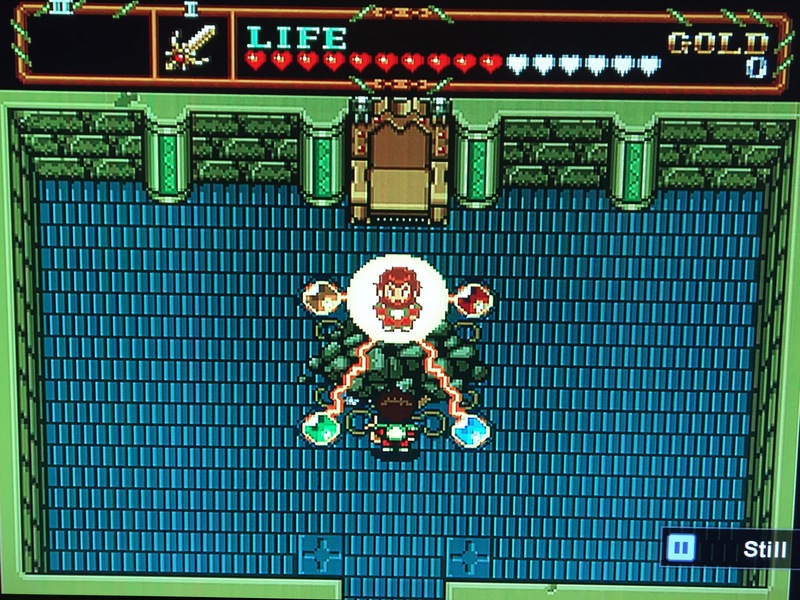 Fire wand, Lightning wand, and Wind wand sometimes pull enemies towards you when used, causing them to hit you. This doesn’t always happen, but is frustrating when it does. *I WAS FLAT WRONG ABOUT WHAT WAS WRITTEN ABOVE, AND SO WERE OTHERS WHO HAVE CITED THE ABOVE ISSUE IN THEIR REVIEWS OF NEUTOPIA II. 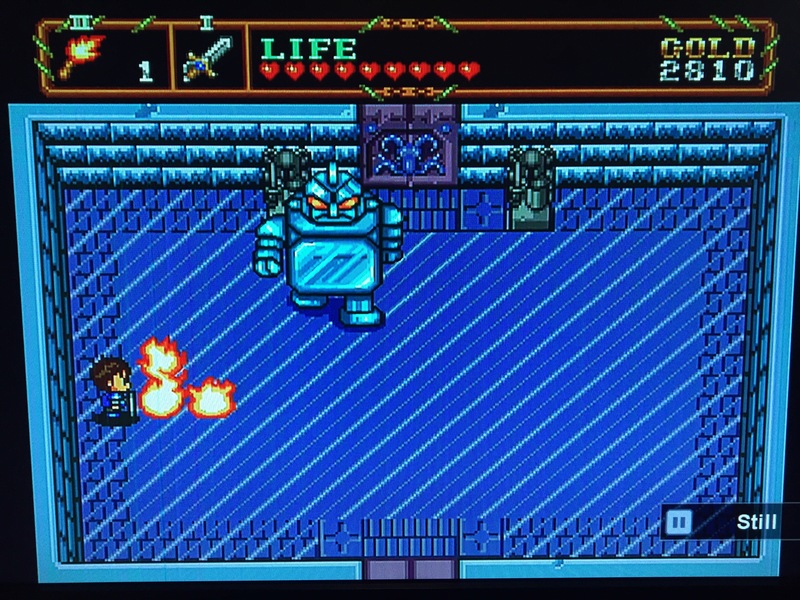 What I finally discovered was that with items like the Elemental Wands and Boomerang, was that if you simply continued facing toward an enemy while attacking, or if you advanced directly toward them, they would never be pulled towards you. However, if, after engaging an enemy with one of those weapons, you turned in any other direction, they would be pulled directly toward you. Almost, (and this is a stupid example, I know), imagine that you threw a lasso around something, then turned and hitched the rope over your shoulder and jerked the object toward you – that’s kind of what happens in Neutopia II. So, while this is a weird design for the game (and I, in no way, see how pulling an enemy toward yourself is beneficial), it does mean that you can effectively use those weapons as long as you know the rule. Having played through the game knowing the rule finally, I never pull enemies toward my character anymore, usually because I remain stationary, or occasionally advance toward an enemy. The important thing to remember is, once you’ve fired off the weapon, don’t move in any other direction other than toward the enemy, unless you want them jerked right toward your character. 2. You cannot cancel talking to citizens once you’ve engaged them. In the first game, you could press Button II to cancel. Now, you have no choice but to hear every word they have to say. 3. Labyrinths are more complex this time, but that could be seen as a positive or negative, of course. 4. 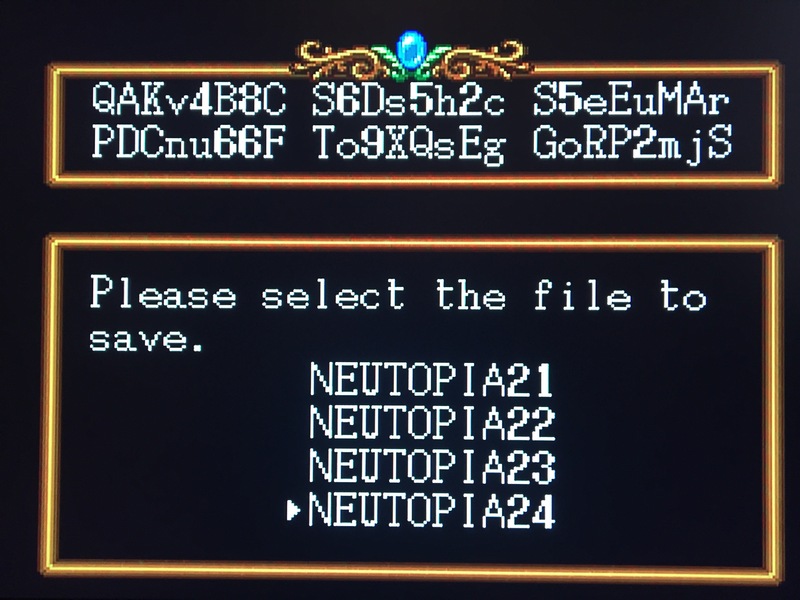 Neutopia II has a longer password save feature than the original does; however, if you have a TurboBooster-Plus or CD attachment, this doesn’t make any difference since you can use the File Cabinet. 5. Your character moves much slower to start the game in Neutopia II than he did in Neutopia. However, you’ll acquire the falcon shoes after the 3rd labyrinth, making your movement much quicker. 6. You find the ‘Wings of Return’ item far less often in Neutopia II than you did in Neutopia. While you’ll still not have a major problem locating one, in the first game, it seemed like every other enemy you killed would drop a pair, ensuring that you always had a way to escape a labyrinth if you needed to. 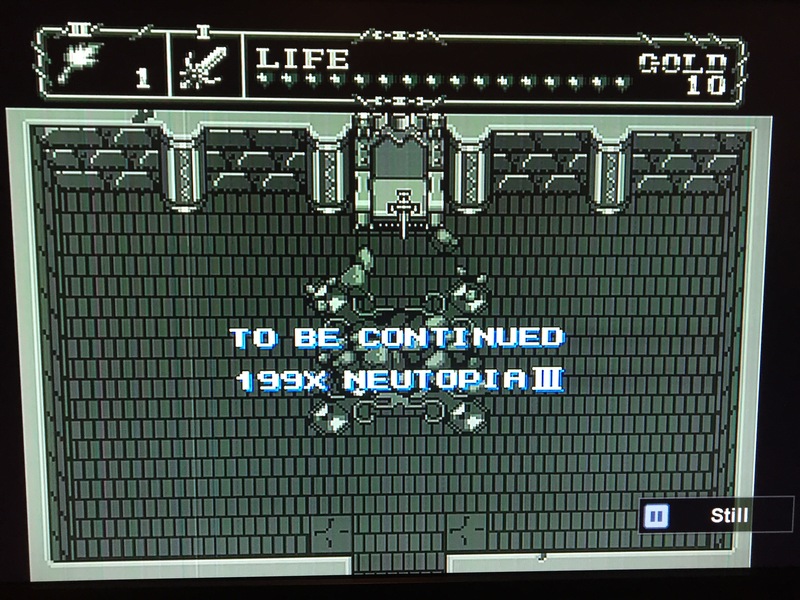 In Neutopia II, you might just find yourself out of medicine, needing to escape a labryinth, but unable to obtain a Wings of Return item from a slain enemy in order to do so. 7. *This one is a bit of a rant – skip to my final review if you’d like. The medicine ‘problem’ still hasn’t been fixed. In both the first game and Neutopia II, you can hold up to two medicine bottles at one time. Each one will completely re-fill your health meter. You can buy medicine from vendors in town. Also, in every labyrinth (usually behind a hidden, bomb-able wall), and sometimes in rooms you’ll enter in the over world, you’ll also find a chest that contains 1 dose of medicine. Now, one would think, if you tried to open a chest that contained 1 bottle of medicine, and you already had the maximum allotment of two doses in your inventory, you might get a message like “You don’t have room for it!” like in other games of this ilk. Then, if your health meter was low, you could use one of your own doses, then collect the one from the chest. Or, you could return and collect it later, after you’d used one of your two doses. But NO, not in Neutopia II (or Neutopia). Even if you are already carrying two bottles and you open a chest with medicine in it, you’ll hold it up, receive the message, “You got the medicine!” and you won’t actually get anything except an empty chest! It’s REALLY frustrating to be in a labyrinth and come across a hidden room with a chest in it – you only have 1/4 of your energy bar – not enough to use one of your precious two doses of medicine yet. So you open the chest, thinking it will be the crystal ball or new sword – and you get a medicine! Except now, instead of being able to re-fill your hearts and THEN collecting it, it’s gone forever and your energy is still low. I HATED this from the first game, and wish they would have fixed it in Neutopia II. Alas, this is one of the game’s few flaws, in my opinion. This design flaw makes you approach the game a bit differently – my strategy now is to (when in doubt), just use a medicine bottle if my health is at half or less when I find a hidden chest in a dungeon BEFORE I open it, just in case it happens to contain a dose of medicine I’d like to NOT lose. The Southern Gentleman’s Opinion and Letter Grade: A Neutopia II is a fantastic adventure RPG. 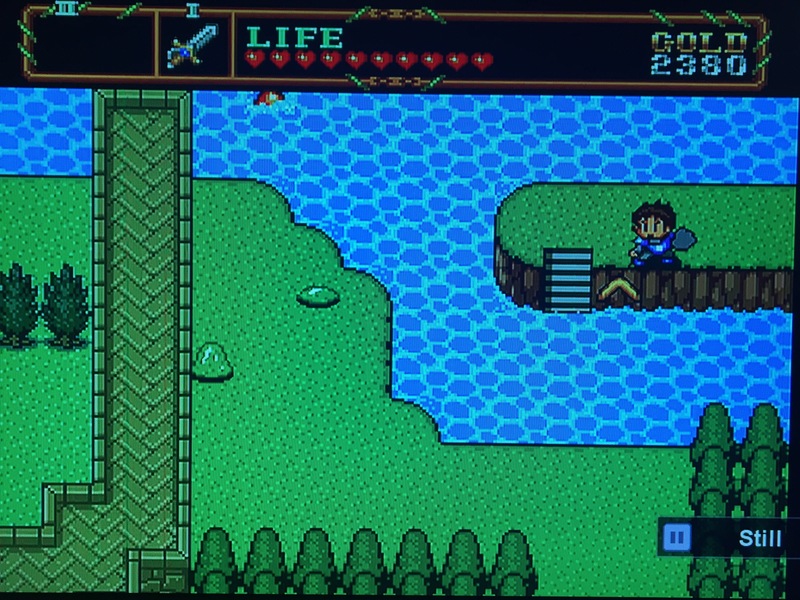 It, like the original Neutopia, feels like a mixture of the original NES Zelda and A Link to the Past on the SNES. I haven’t reviewed the first Neutopia, but the two games are strikingly similar – I would recommend playing the original first, which is a bit easier. 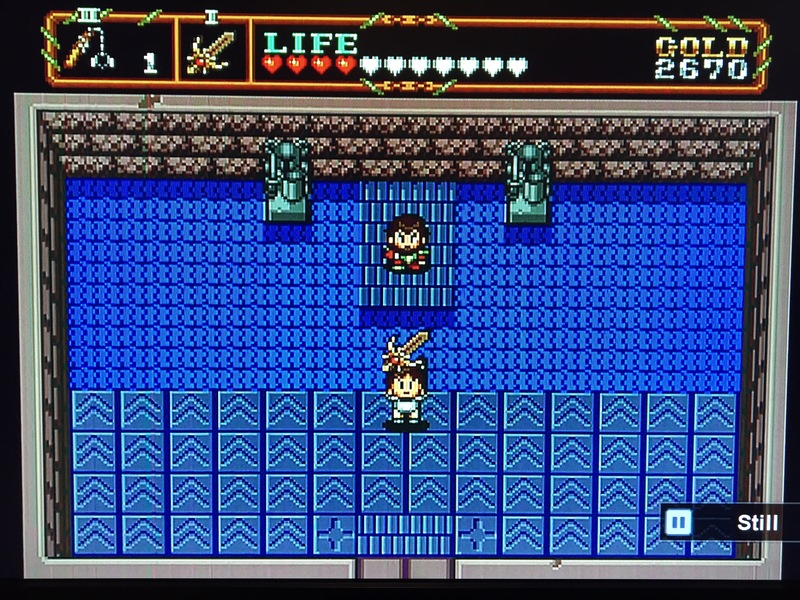 But Neutopia II is a fantastic Zelda-style game, certainly better (in my opinion, as always) than the NES Zelda it models itself after, and it even comes close to the stratosphere of classics like A Link to the Past. Step 1: The final boss of the game, Dirth, is quite challenging. 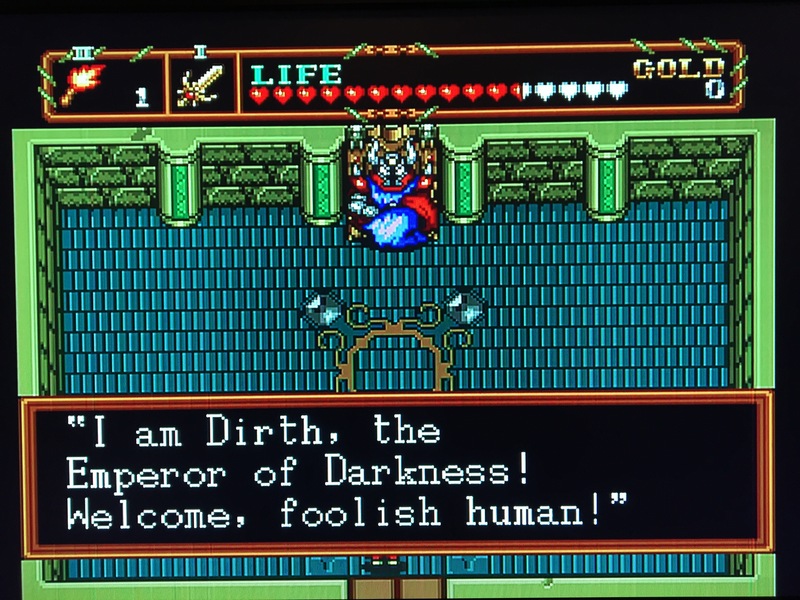 Many of the bosses are, but Dirth is certainly the most difficult, if you don’t game plan. My advice is to beat the entire labyrinth leading all the way to him – collect the key and crystal ball and bomb all the walls that create a path to him. Then use the Wings of Return to see the save lady. Go buy two medicines (if you don’t already have them). 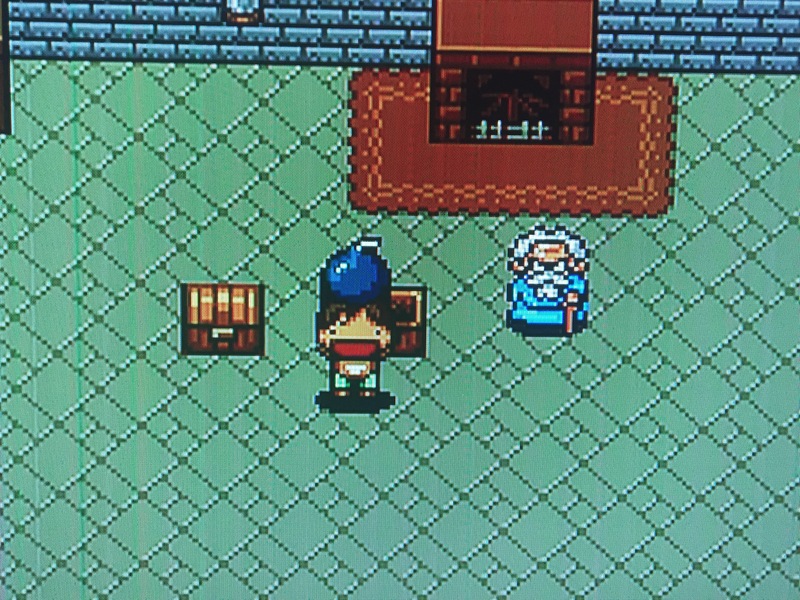 Now save your game, so if you die, you can return via save file or password to the save lady, and you won’t have to buy medicine or figure out the labyrinth’s secrets again. Step 2: Memorize the exact labyrinth path to Dirth. This won’t be hard, particularly if, like me, it takes multiple times before you beat him, forcing you to re-start at the save lady. (From the save lady to Dirth takes about 10 minutes if you know the way). It’s important to reach him with close-to full health, in addition to your two medicines. Use the Fire wand or flail on the enemies – the flying squirrels and green caterpillars in particular cause significant damage, so keep them away. This isn’t tough with practice. Step 3: Only the Sun Sword can hurt Dirth. Also, MAKE SURE you’ve acquired the gold armor and gold shield like the old man tells you just before the Dirth battle, which you should have acquired in previous labyrinths. Without these, it will take more hits to kill Dirth, which you don’t want. 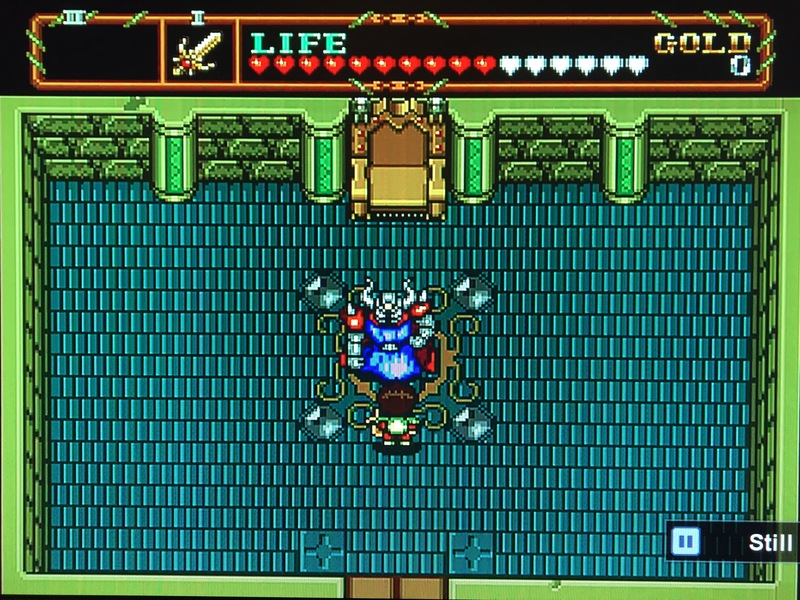 I forgot the gold shield in the Twin Towers, and was hitting Dirth 30+times without him dying, so I went back for it, and upon fighting him again, found it took fewer hits to beat him (not sure why a shield matters when you’re hitting him with a sword, but okay). *As a side note, re-entering previous labyrinths, after you’ve already started another labyrinth, RE-SETS them, so pick up everything the first time around to avoid a headache. The Dirth battle is fast and frantic. Use the Run button to take a pause if it gets too hectic. 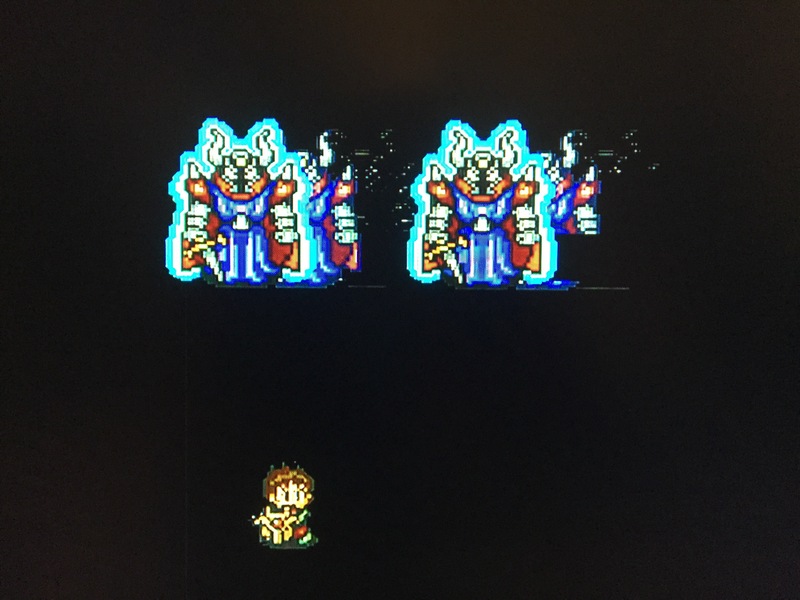 Dirth splits into two – a fake and the real Dirth – stand in the MIDDLE of the screen and pick one when he appears. Run towards it, swing ONCE and RUN AWAY, NO MATTER WHAT. If you hit him, great – if it was the fake Dirth, no sweat. Keep going with THIS STRATEGY. If Dirth hits you with his spinning tornadoes, or you accidentally touch him, don’t panic and try to go beserk on him because he WILL win. Beating him takes PATIENCE. Expect to get hit (but very seldom with practice), and follow this strategy, and even if it takes 10 tries, you WILL become a master of this battle and beat him with a medicine to spare. Good luck – you didn’t come this far to give up. Final Note: Enter the name ‘KOALA’ to play as a weird-looking character with a big head! He’ll also start with TWO doses of medicine in his inventory! Just don’t open the left chest in the room in the picture – it contains a medicine that you should come back and collect later instead of paying a vendor for one. KOALA looks quite different than the regular hero. Alas, the Neutopia Trilogy would never come to fruition. This entry was posted in Turbografx-16 - Neutopia II. Bookmark the permalink.